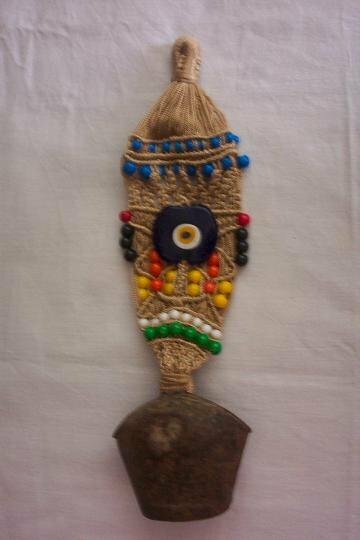 Macreme evil eye with Sheep bell..Door-wall hanger. Handmade by me.Please visit my other items.Thank you for visiting. Pink Monster Green Eye With Brown Hat Iron On Patch.